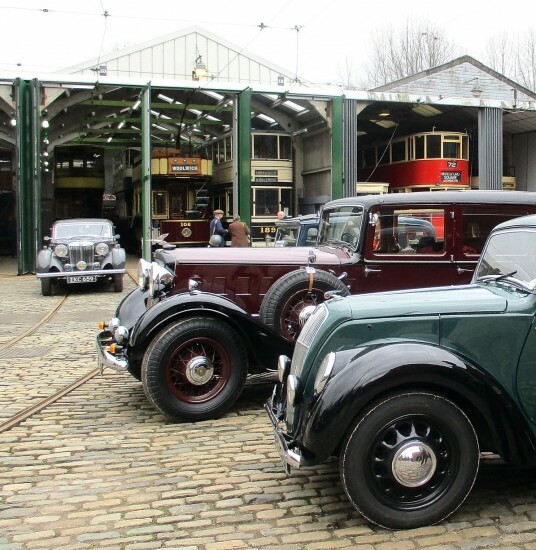 As we have reported over the past few days the first major special event of 2018 took place at Crich on Sunday 1st April with the World War II Home Front themed event. Despite the cold weather – and at least it was snow free – we can now bring you some further photos from Hazel Quarmby. As a military vehicle approaches the camera Glasgow 22 waits at Stephenson Place with MET 331 down at the Town End stop. 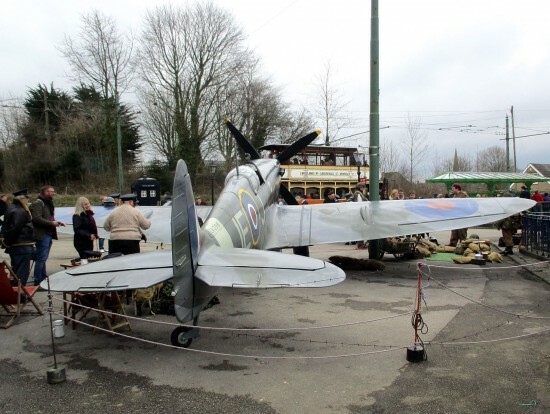 A replica Spitfire was again displayed during the event as is seen here outside the Assembly Rooms. Again we see Glasgow 22 in the background. 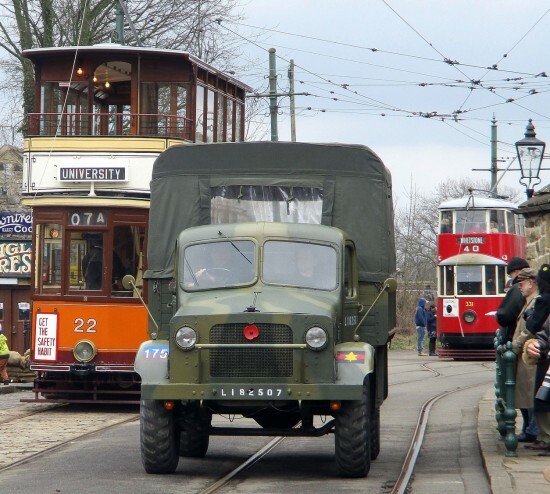 Nice pictures, but trams anachronistic (e.g. Feltham in pre LT livery) and cars should have headlight covers for the blackout. Disappointing that with all the resources they didn’t produce a convincing 1939-1945 image. I’m sure they could always repaint a Tram or two! Agreed perhaps headlamp masks etc but we must remember the bad weather prior to this event too and the need to commision etc, perhaps they just ran out of time!